Yes, I know it’s hard to believe that here at Snow Candy we are not always working in our catered chalets Morzine. However its true, we do have some time away! This year we decided to visit the stunning Jurassic coast and go camping Weymouth… On our travels, we stumbled across this little gem, White Horse Campsite Weymouth. 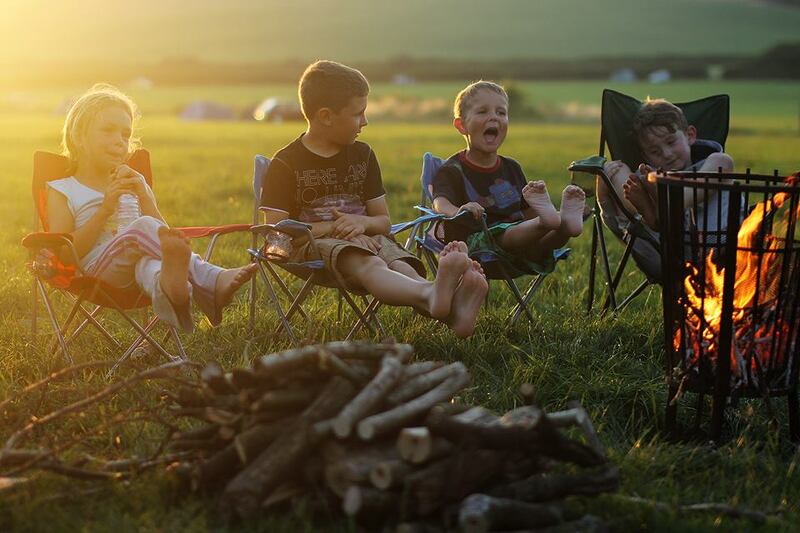 White Horse Campsite Weymouth is a family run business on a lovely farm in Osmington near Weymouth, Dorset. First of all, the farm has 146 acres of land. It is located in the valley underneath the famous chalk figure of the White Horse. Also the Jurassic coast is nearby, just a short, picturesque walk. This area is officially classified as an area of outstanding natural beauty. Huge flat fields and freedom to pitch where you like, makes it the perfect place for camping with your family. Plus, children are FREE! Just arrive and choose your spot! If you want uninhibited, spectacular views of the great british countryside, then this is the perfect spot. On our visit we really were taken back by the scenery. You can enjoy a campfire on the field, no problem. Logs can be purchased from the reception, aswell as ice creams and drinks. There’s even a selection of breakfast items (bread, milk, croissants, egg, bacon etc) which you can order and then pick up from the reception. Furthermore, the smiley staff are more than helpful, friendly and welcoming. The facilities include hot showers, toilets and a washing up area. White Horse Campsite benefits from plenty of footpaths for scenic walks or navigating to one of the local country pubs. In addition, the beach is less than a 10 minute drive away. Weymouth town centre is also a 10 minute drive. In conclusion, in such a stunning area of natural beauty and with so much to do, White Horse Campsite is certainly well worth a visit.